Henry George Ferguson was an Irish engineer and inventor who is noted for his role in the development of the modern tractor, becoming the first Irishman to build and fly his own aeroplane, and for developing the first four-wheel drive Formula One car. 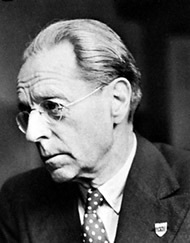 Born in 1884, Harry was the son of Mary and James and the 4th child of 11 in the Ferguson family. Harry attended Drumlough primary school not far from the family home at Growell outside Dromore, he was a bit of a lad in his youth and had more interest in doing things he wasn’t allowed to do than attending school, in fact he was expelled from that same school for a short time for misbehaviour. Harry’s parents were from a strict Plymouth brethren belief and rules were meant to be obeyed and that meant helping out on the farm as heavy manual labour. Harry left school at 14 and he was of small stature and not really suited to this type of farm work but was expected to do his bit on the farm. By the time he was 18 he gathered up enough money to emigrate to Canada but was stalled by his brother Joe who offered him an apprentaship in his car and cycle business in Shankill Rd Belfast, harry accepted and enjoyed the challenge turning out to be a great asset to Joe’s business, Harry was good at tuning engines and improvement modifications and as a result Joe’s business thrived. Harry attended Belfast Technical College at night to improve his education and skills. Later on harry took part in motorcycle and car racing in the 1920s and this took place around the well known circuit of the Ards TT. Harry loved speed and was in his element having earned the title “THE MAD MECHANIC”. Harry also had a desire to build and fly his own aircraft which in fact he did having his first official flight in December 1909, it was also noted that he was the first Irishman to build and fly his own aircraft and the first to have a female passenger. Now most people relate harry to the famous grey tractor we see all over the world and rightly so as it was a great design and still working today on many small farms, however it was indeed a system of mechanical engineering called the 3 point linkage that harry is famous for, this was his claim to fame and it works of the hydraulic system at the back of the tractor enabling the driver to raise and lower any implement mainly a plough and therefore making farming so much easier, of course the development of such a design took time and this FERGUSON SYSTEM as it is known is on all tractors you see today. Grey Ferguson Brown tractors were the first popular model and followed by the famous TE 20 tractor, this tractor was so simple to drive and operate and can be found in every town land all over the globe. Harry was responsible for many inventions over many years including numerous implements, a well ahead of its time a 5 door hatchback car fitted with a form of ABS and electric windows no less, he also developed a 4WD system which was fitted to a racing track car and driven by Stirling Moss, the same system is also fitted to the classic car Jensen Incerpeter [Jensen ff]. So a brief history of Harry Ferguson proves that he was indeed one of Ireland’s greatest inventors and hence the opportunity for me to stand here today and sing his praises. That is just a brief history about Harry Ferguson and indeed it would take more than one website to tell you his life story. Initially a small group of Ferguson enthusiasts, we with assistance from the Midlands group Virginia Co. Cavan, are determined to create and produce a long overdue memorial for Ireland’s genius, Mr. Harry Ferguson, the man who turned agriculture on its head many years ago. 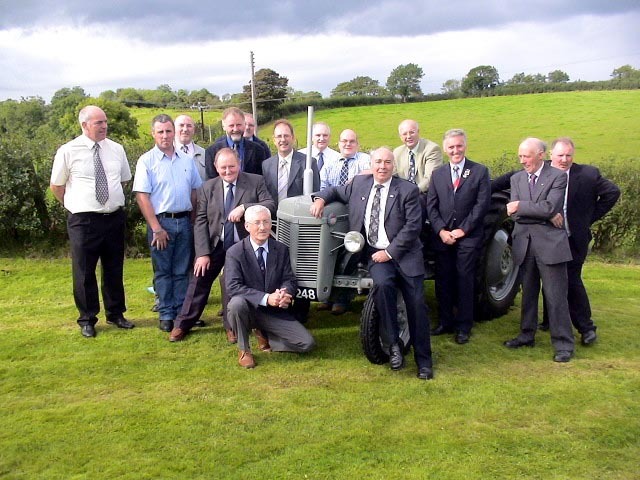 We started of by staging tractor events around the year 1999 to raise funds for the memorial project and we are still holding events at the Homestead every August. 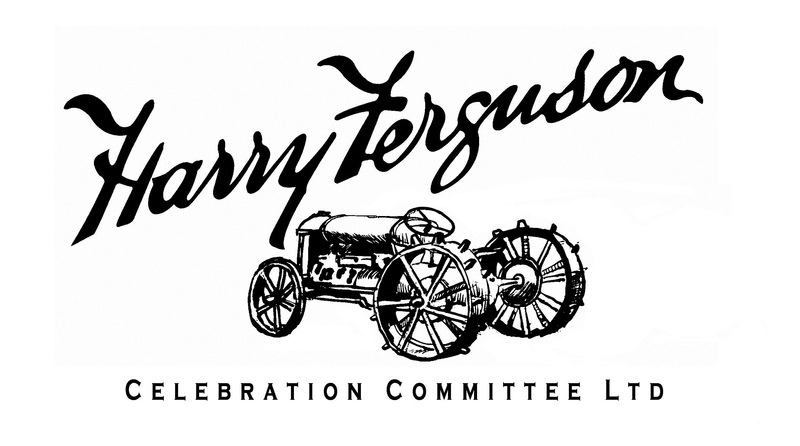 We finally achieved our goal in August 2008 and we are proud of the finished project in memory of our genius Harry Ferguson. We thank all those who have supported us in attending our events in the past and subsequently helped us raise the funds to complete this memorial garden at Growell Co Down. The memorial garden is set opposite the Ferguson Homestead and exhibits a life size bronze statue of Harry and has the facility to display a Ferguson tractor on site plus information and history boards throughout the garden. The memorial garden is designed so that photographs taken will include the homestead in background. We hope you enjoy your trip through our website and we invite you to visit in person at any time throughout the year and take in the history information boards as you stroll up the memorial garden.